Carly stops by the Quartermaines to speak with Michael. He is in the process of deciding whether he should sign the name change papers. Michael isn&apos;t happy Carly has been released and tells her so. Carly tries to defend Sonny&apos;s actions. Michael is having none of it. Michael tells her he&apos;s going to take back the name she stole from him. Carly says Jason was the one who named him, because she wasn&apos;t strong enough. Carly claims Michael had a wonderful childhood (and lighting strikes her in her place). Michael disagrees. Carly feels Michael will regret making the name change. To spite her, Michael signs the papers then kicks Carly out. Alexis asks Anna for Julian&apos;s release. There is no proof he knew Ava killed Connie. Anna agrees, but wonders why Alexis is sticking her neck out for Julian. Liz wakes up Jason from a nightmare. She gives him a gift — a shirt and pants to wear to Thanksgiving dinner. Initially, Jason refuses the gift, but then accepts it. Patrick checks in with Sam. He wants to know if she&apos;s figured out anything about the mask. When he finds out she doesn&apos;t have Thanksgiving plans, he calls Liz who agrees to have them over. Helena pays Luke a visit. He believes he&apos;s hallucinating, since he killed her. Helena explains she has great survival skills. Helena says she needs to get rid of one of the Lukes. 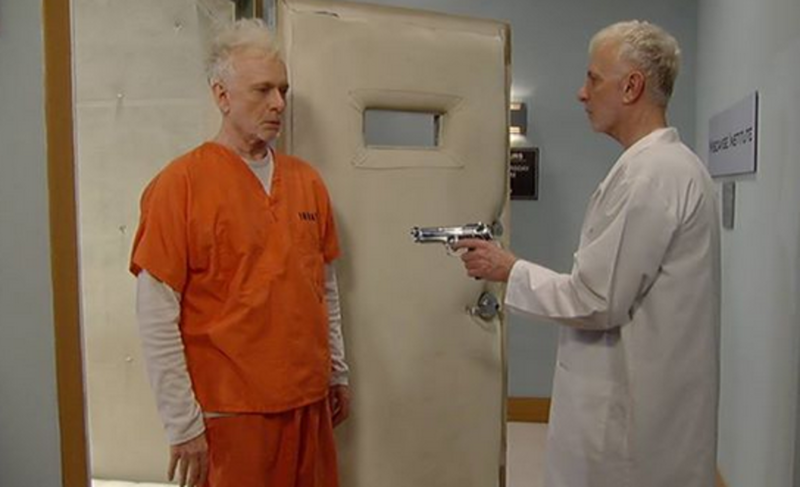 Sonny meets with Duke in prison. He tells him he plead guilty in order to free both Carly and Duke. Sonny wants Duke to take over the business and keep Julian out. Duke agrees to do it. Agent Sloane continues to bother Anna about Faison. He accuses her of being responsible for his escape. Agent Sloane tells her there are consequences. Anna needs to get a lawyer. Julian is released. He takes Alexis to Miscavige and explains the real Luke has been there this entire time. They run into Helena exiting Luke&apos;s room. Alexis is shocked at what she sees in Luke&apos;s room. Carly goes to Pentonville to see Sonny. Duke pays Anna a visit. Jason answers the door to Helena. 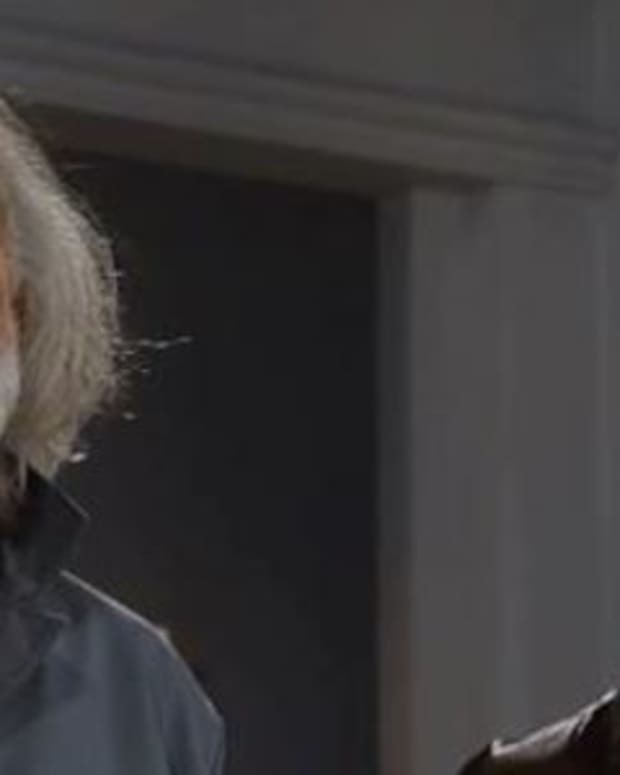 Perkie's Observations: Just How Many Flipping Flukes Are There On General Hospital?